It is unusual that rugby in South Africa is understood to be a white sport, as contemporary statistics reveal that a great many more black people than white people play rugby in the county. Screenshot from the documentary Progress. Image credit Simon Taylor. More than 20 years after the inception of democracy, South Africa continues to battle with segregation in sport, particularly in rugby. 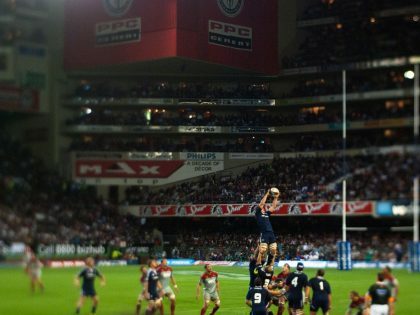 It is astonishing that South African rugby’s inability to transform continues to dominate conversation around the sport—not without damning effects to the game and the country’s image, as we have witnessed during the most recent World Cup and even more recently on TV. The subject is extremely relevant to the transformation dialogue in South Africa and the role of sport in the broader transformation process. It is in fact unusual that rugby in South Africa is understood to be a white sport, as contemporary statistics reveal that a great many more black people than white people play rugby in the county. It just happens that most of these players are from the Eastern Cape—the peripheral outpost, particularly when it comes to national selection of players. A club called Progress is one of those teams. Over the course of several months, while shooting a documentary for Periphery Films, I became a familiar face around Uitenhage, a small factory town a few kilometers off the N2 arterial highway. Here, we followed the team members of Progress around with cameras for an entire winter season, to better understand and to capture what was happening in this isolated, peripheral landscape. What we found is an incredible richness of talent and a robust community run rugby organization. Packed out stadiums every weekend where fans and players alike support and play rugby with much gusto and shouting. All of this outside of the National Rugby frameworks. No selectors, no TV cameras, a total lack of any institutional funding support and surprisingly, no sign of portions of national spend allocated to rugby. 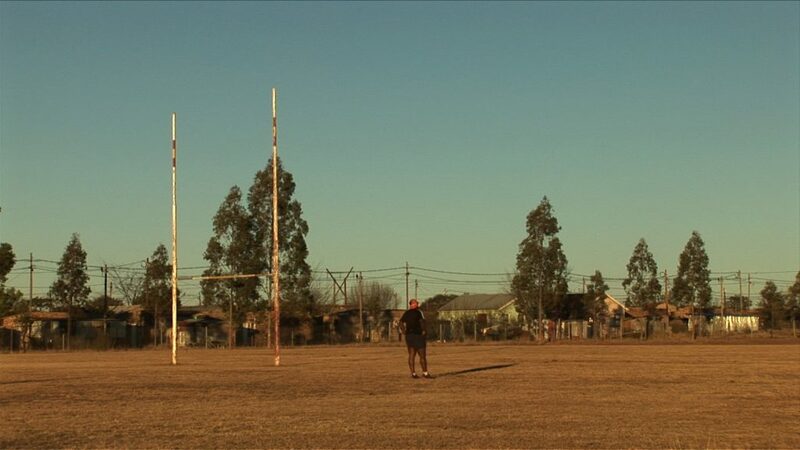 “People don’t know that rugby has been played for over a century in the Eastern Cape by the black community,” says Phillip Joseph, Progress’s previous Chairperson. Indeed, if you don’t come to the Eastern Cape you will never know this type of rugby exists. It is inclusive, it is fast, and it is played for the love of the game—the gentleman’s code of play. Labeled “community” or “development” rugby by the institutional set-up, it is relegated it to a back seat in the national perception. What it lacks is any type of visibility beyond the Eastern Cape. Zama’s father played for the Leopards, a black team that was put together under the Apartheid government. He also played front row. 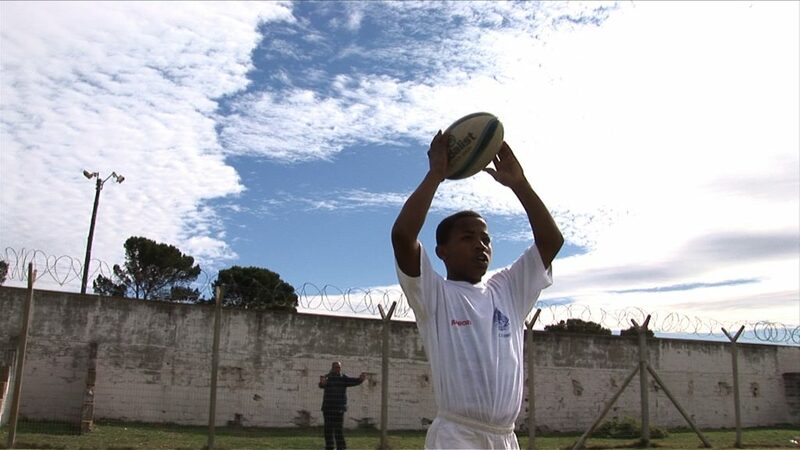 Zama represented the Eastern Cape at Craven Week but when nothing came of that in terms of a national selection he settled into a life of community rugby. “I just want to play my rugby!” he says. The answers to the future of our rugby lie in the heartland; perhaps we just need to look there, inwards. 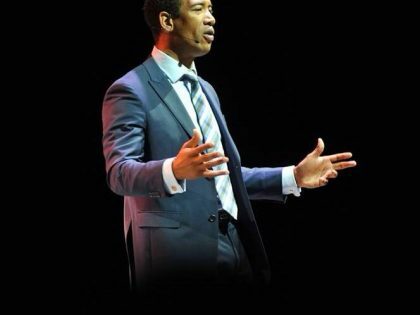 When former Springbok Ashwin Willemse walked off a SuperSport TV set, he forced conversations on racism in South African rugby and its sports media. 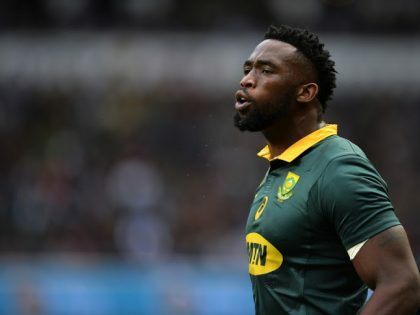 South Africa’s national rugby team, the Springboks, gets a black captain for the first time in its history–24 years after the end of Apartheid. Why would a group of black South African rugby supporters openly root for New Zealand teams over their own.